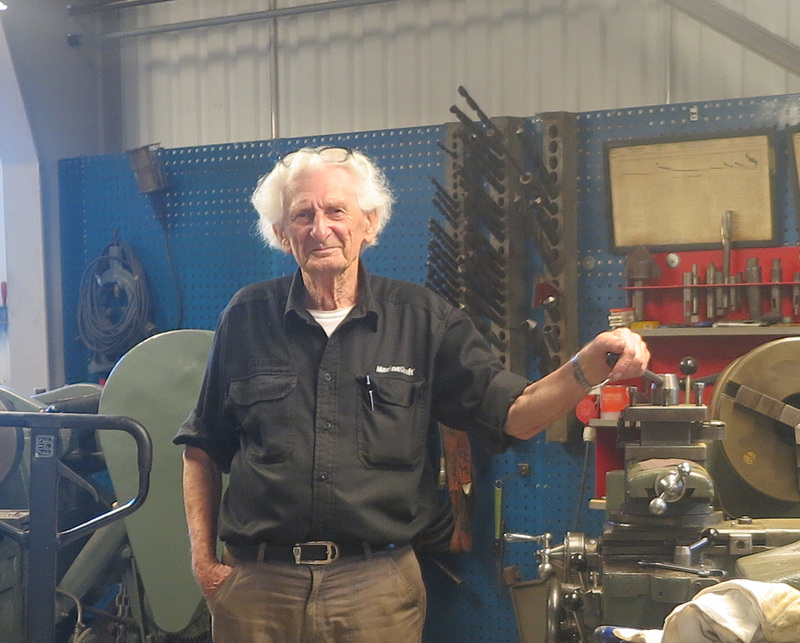 Let me introduce you to our oldest employee - Our engineer Hans Ove Konnerup who just turned 85! I went out to talk with Hans Ove the other day in our “museum workshop” called “Bindslev Mekaniske Værksted”. This is where Hans Ove still comes to work 3-4 days a week. He runs this little museum with old machinery, still used by retired colleagues and whoever wants to stop by for a talk – a cop of coffee and perhaps to machine something in an old familiar lathe. Hans Ove Konnerup is quite an extraordinary man - I would actually like to call him ”grey gold”, and I should like to tell you a little more about him. Did you know he calculated and designed our most precious tool in the workshop? – our hydraulic press that enables us to cold straighten shafts! Both the hydraulic press that we have used for many years now, which can press with up to 3,500 tonnes and take in shafts up to 1 meter in diameter, but also our new hydraulic press that can press with up to 6,000 tonnes and straighten shafts with up to 1.5 meter in diameter. Ove Christensen and became an industrial technician in 1957 and continued his education to become a mechanical engineer. Always eager to learn and unusual as he decided as 63 years old to go back to school to study mobile communication at the University. It was with the company Ove Christensen it all began. Here the cold straightening technique was first “developed”. Our manager Knud Andersen and his dad Sven Andersen both worked with Ove Christensen and were pioneers within the straightening technique. Hans Ove Konnerup did not design the first hydraulic press on the photo, but he did help build it. The company was later bought by Wärtsilä and in 2004 Knud Andersen and Anders Jensen started MarineShaft with 100% focus on cold straightening of shafts. 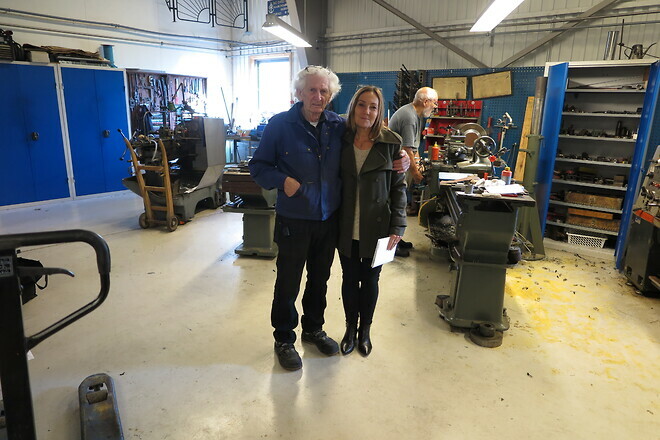 MarineShaft started a member club for old Ove Christensen employees and further also the museum “Bindslev Mekaniske Værksted” to honor old employees and the relationships made over the years. The museum is open every Wednesday and filled with talk and laughter sharing old memories. You are taken back in time kind of – almost no rules – at least my retired colleague Arne Stroem smoked a cigar while enjoying time using the lathe. I think it´s quite remarkable when a company is able to build a bond to its former employees that is so strong keeping them come back to visit every week. Should you visit Hirtshals I am sure Hans Ove is ready to give you a tour and a talk. Hans Ove lives in Hirtshals with his wife Birthe for 59 years. They have 2 children and 2 grandchildren.